Capital Budgeting includes all the features required by management and financial accountants to efficiently and effectively budget for and report on capital expenditure. Capital Budgeting encourages managers to accurately manage and control their capital expenditure. Instead of being reactive, Capital Budgeting empowers manager s to be pro-active. Through the provision of powerful reporting analysis, managers can take control of their budgets. Capital Budgeting has the flexibility to allow you to budget in the manner and at the level of detail you require. 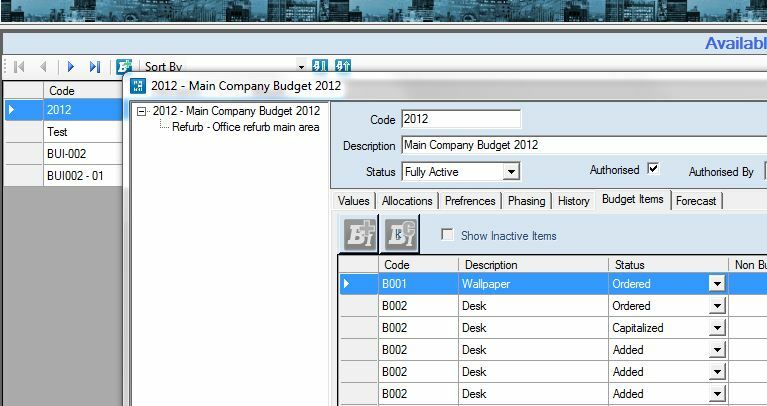 You can use Capital Budgets to link seamlessly to AssetPro and Assetware Manager reducing asset and invoice duplication. This results in both the capital budgets being updated and subsequently the fixed asset register on capitalisation of the asset. Data entry duplication is eliminated. Optionally detailed items may be imported at any stage through the budgeting process. 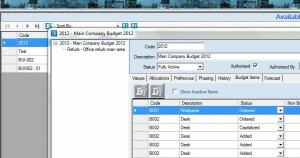 Department heads can have immediate access to budget spent to date and remaining budget information. The advantages of Capital Budgeting are highlighted by the information gained. Standard reports include budget commitment summaries, detailed variance analysis and depreciation forecast by department.